May 7, 2013 (Victoria, BC): The Canadian Cancer Society, BC and Yukon and other members of the BC Alliance for Healthy Living (BCAHL) are urging BC’s political party leaders to speak out further about their plans on cancer and chronic disease prevention. With healthcare costs consuming almost half of the BC government’s total budget, the Society and BCAHL believe cancer and chronic disease prevention is a critical election issue. Together, the organizations want to see the party leaders take a clearer position on prevention initiatives that will make a meaningful and long-lasting impact on the health of British Columbians. The BCAHL agrees and believes slowing the growth of chronic disease and the associated healthcare costs is possible but will require vision and political will. BCAHL has asked party leaders for a comprehensive wellness plan, which includes a sugary drink tax and support to get more produce in rural and remote communities. Upgrades are also needed for BC’s aging recreation infrastructure to make it easier for British Columbians to be active. The Canadian Cancer Society fights for public policies that make healthy living easier and protect Canadians from cancer-causing substances. Currently, the Society is advocating for an investment in cancer prevention initiatives such as implementing regulations for smoke-free outdoor public places and legislating a province-wide ban on cosmetic pesticides. The Society believes that by making these commitments, the government can help prevent cancer before it starts. Based on current cancer statistics, it is expected that the number of cancer cases will increase by 70 per cent by 2030. In addition, the BC Ministry of Health has estimated that by 2017, without any new action to promote health and prevent chronic disease, 71.3 per cent of the BC government’s total budget will be devoted to the Ministry of Health. Voters can make themselves heard by letting BC’s party leaders know about the issues that concern them. By visiting the Society’s cancergameplan.ca, concerned citizens can send an email to BC’s party leaders and help push the cancer prevention issue forward. To date, more than 1,600 e-mails have been sent to BC’s party leaders. 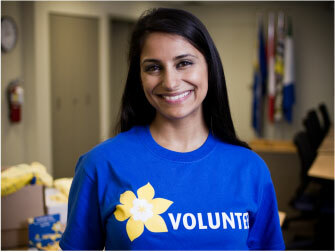 For 75 years the Canadian Cancer Society has been with Canadians in the fight for life. We have been relentless in our commitment to prevent cancer, fund research and support Canadians touched by cancer. From this foundation, we will work with Canadians to change cancer forever so fewer Canadians are diagnosed with the disease and more survive. When you want to know more about cancer, visit our website at cancer.ca or call our toll-free bilingual Cancer Information Service at 1-888-939-3333;TTY,1-866-786-3934. Formed in 2003, the BC Alliance for Healthy Living is the largest health promotion team ever assembled in the history of BC. Its vision is for a healthy British Columbia and its focus is the common risk factors and underlying determinants of chronic disease. Collectively, BCAHL members capture the attention of over 40,000 volunteers, 4,300 health and recreation professionals, and 184 local governments across British Columbia.To learn more about BCAHL’s policy positions, go to bchealthyliving.ca or find us on Facebook and Twitter.